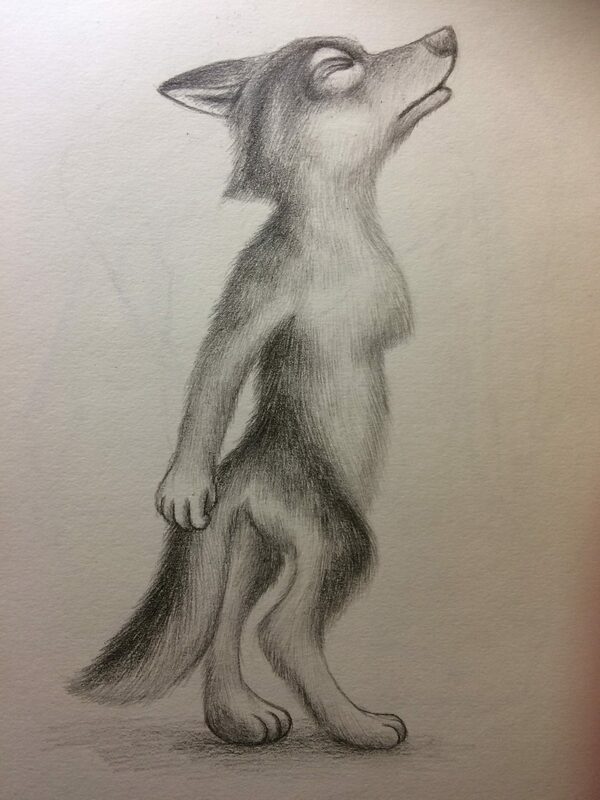 Caradoc is a werewolf, which has a part of wolf and part of a human. Before Caradoc birth, his father, who is a rich and powerful wizard, cursed his wife. The man found that his wife was fall in love with another man after marriage, so he put a curse on her. 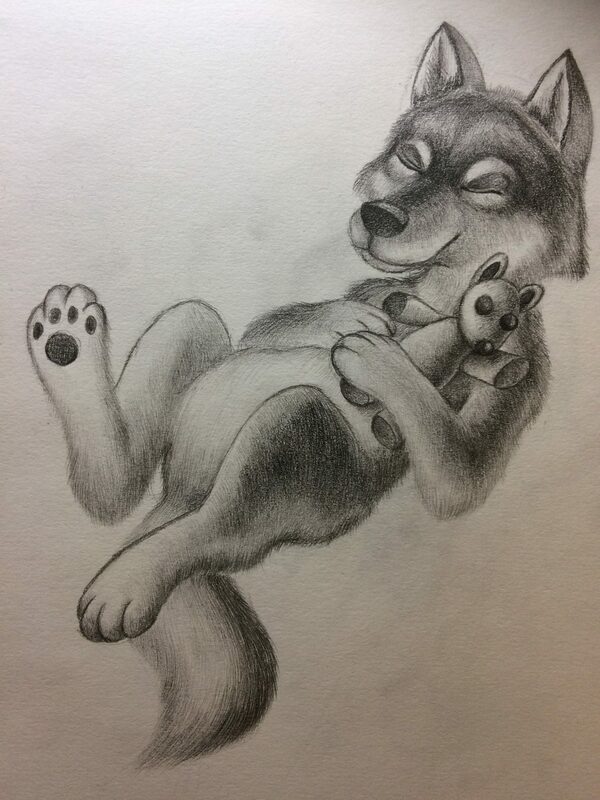 The curse was filled with despair and sorrowful, the woman gives birth to a baby that looks like a wolf and then died. The man ordered his student to kill the wolf baby, but she decided to hide the baby in a basket and put it in the river, instead of executing it. Therefore, an old wizard found him in a basket beside the river and raised him as his own. They live in the forest, where have many wolves live there. In some aspects, he can be wild and naughty as a wolf. 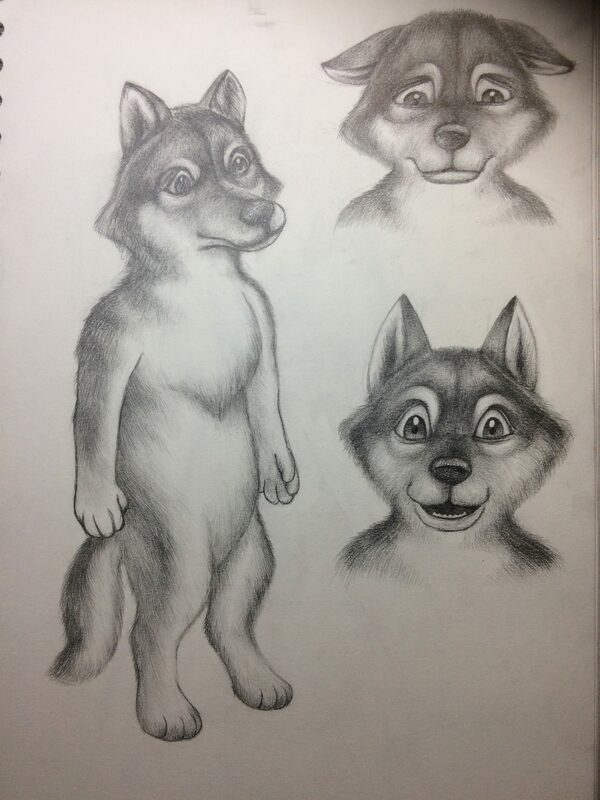 He likes chasing little animals, play and howling with other wolves. Because he has wolf appearance, the other wolves seem him as their family and play together all the time. On the other hand, his behaviour looks like human mentally, he can read, write, walk with two legs and usually holding a wolf doll when he sleeps. He also curious and looks forward to being a human because he always listens to the old wizard’s bedtime story which talking about human’s living and lifestyle. 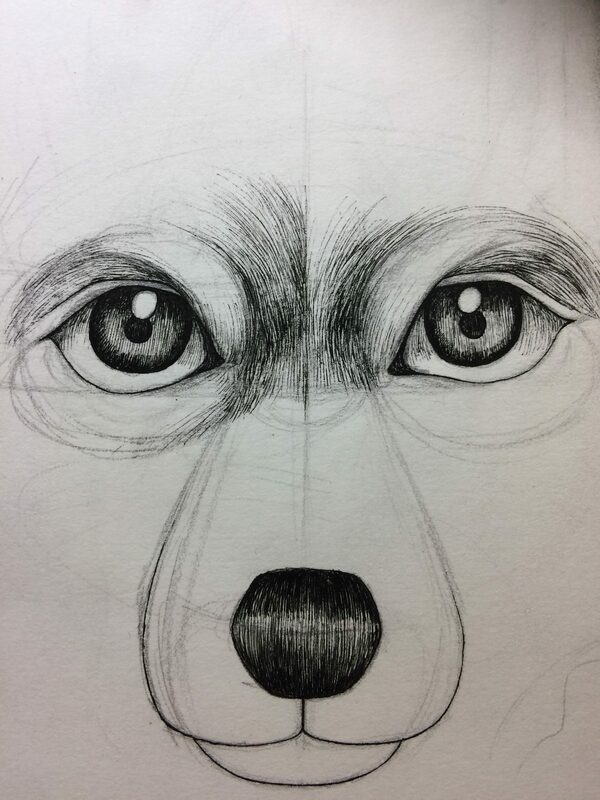 Here is the eyes design for Caradoc. 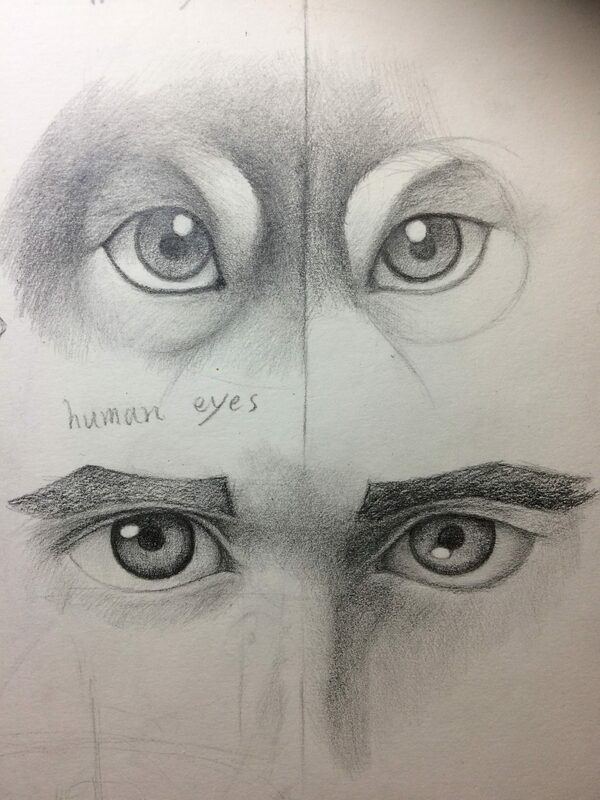 In order to express he has part human and part wolf, I drew the human eyes and wolf eyes to combine both features for Caradoc’s eyes. 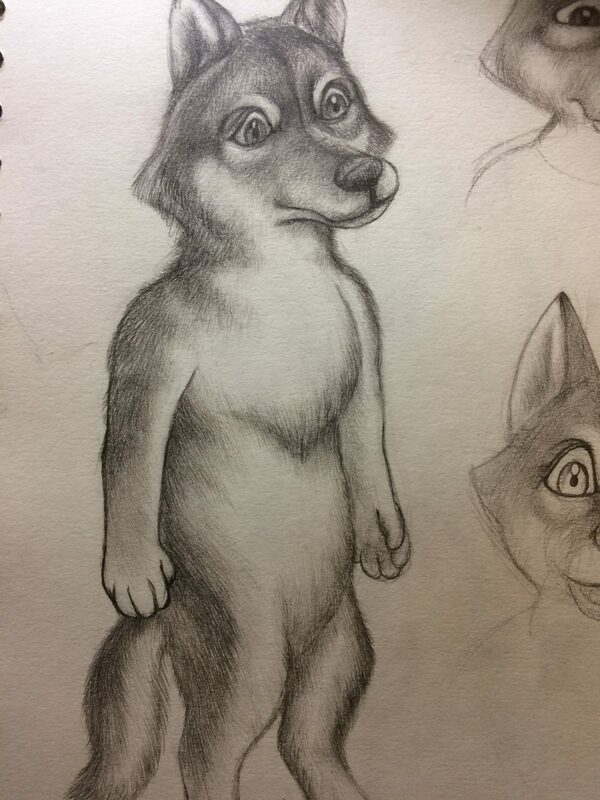 And also, I drew the facial expression and the life scenarios.